Hello everyone: The hot days of Summer are still around and, when it gets really humid, it's basically unbearable so, a good dip in the pool or better yet, the beach, does a body real good. Over at SHOPPING OUR STASH, we have a new challenge for you to play with, we want to see something "HOT, HOT, HOT" in whatever way you can interpret this word. 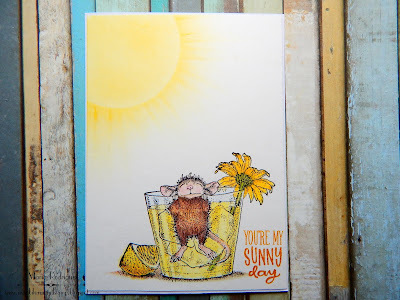 I stamped the image with Versafine black ink, clear heat embossed it and colored with some Sakura Koi watercolors, the sentiment is from a Power Poppy set called Sunny Harvest, the sun on the corner was made with a circle die mask using a sponge dauber with Daffodil Delight. The sentiment is also from the "Sunny Harvest" set and the flowers from a retired Flourishes set, I can't remember the name, I apologize. So I hope you come and play along with us over at SHOPPING OUR STASH, we can't wait to see what you create. 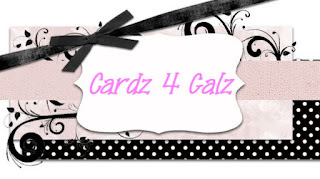 Stop by the blog to see my teammates awesome creations. Cute and Crafty Challenge #7 "Animals"
Dream Valley Challenges #184 "Animals"
Heart 2 Heart Challenges "Cuteness Overload"
Hello dear blogging friends: I've been participating in the fabulous TWOFER CHALLENGE from the very beginning and I'm loving it so much, it's a fun and truly challenging challenge, because it gives your creativity a good workout trying to come up with two totally different cards, for two totally different occasions using the same stamp or die. So here are my cards for this challenge, hope you like them and also, hope they inspire you to play along with the fabulous Darnelle and the rest of the amazing Designer Team. And here are the cards individually, I will explain each one so you can see how I made them. 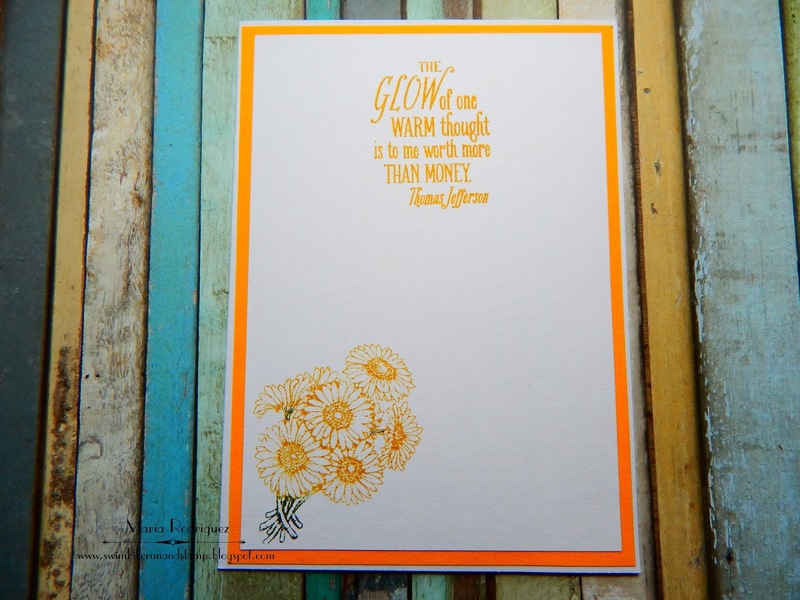 For this card I used a Honey Comb embossing folder and some of the totally adorable image of the retired Stampin' Up! set called "Just Buzzing By" from the 2009 Spring Catalog, I just adore the sweet little bees and the rest of the images on the set. I stamped the little bee and the Honey Jar on a die cut piece of watercolor paper with Stazon black ink and colored it with SU markers, I sponged "Hello Honey" ink on the embossed panel, the sentiment is from the set. 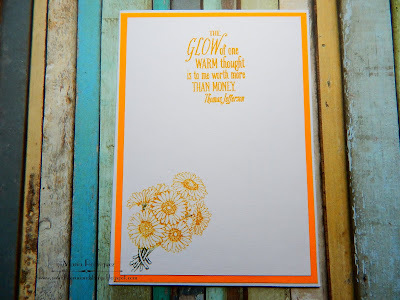 I sponged some Hello Honey ink with a Honeycomb stencil on the top, the sentiment is from a Power Poppy set called SHORT STACKS and the images are from the SU set. Here is my Twofer card. 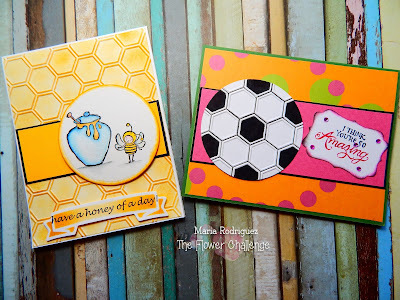 For this card, I die cut the circle with the same die from the first card but I embossed it with the Honeycomb embossing folder to make it look like a Soccer Ball, I painted the hexagons with a black marker. The paper is from my stash and the sentiment is from a Power Poppy set called AZALEA, I added a bit of bling to it with some Rhine Stones colored with a pink Sharpie. I also sponged the edges with the Honeycomb stencil with pink and black inks, the sentiment is from the Power Poppy set called SHORT STACKS. 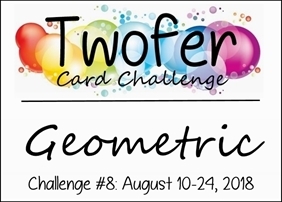 So there you have it, my TWOFER cards, I hope you enjoy seeing them and decide to visit the TWOFER CARD CHALLENGE and give this fun challenge a try. 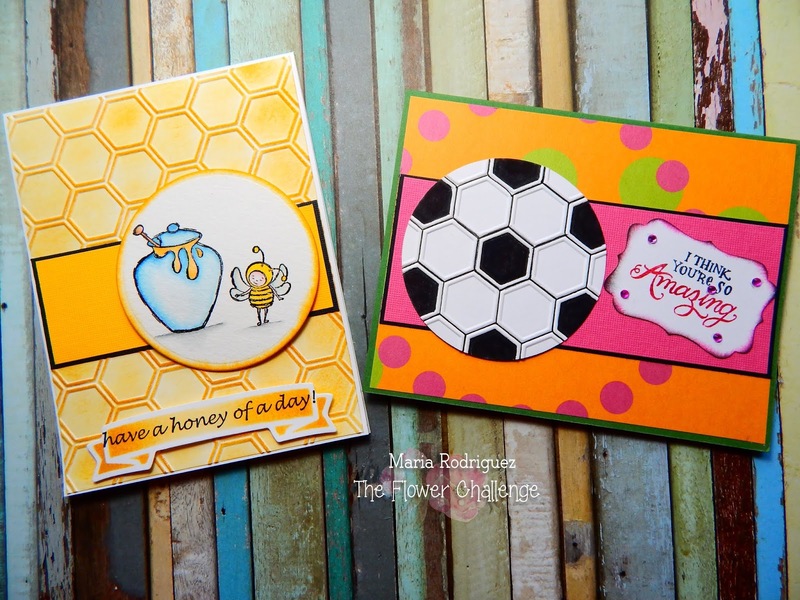 Cards 4 Galz Challenge # 78 "Dies or Punches"
Hiding in my Craft Room Challenge #366 "Use die cuts"
I spy something beginning with the letter"B"
CCEE Stampers Challenge #1833 "World Honey Bee Day"